Here is a super deal! 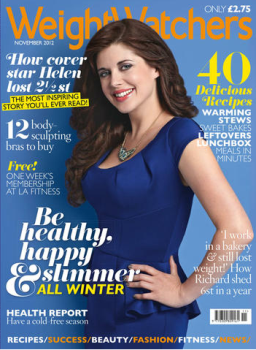 Weight Watchers magazine is on sale for only $3.99. Use promo code 15SS0103 at checkout to save an extra 15% off, which will bring your final price down to just $3.39! Special offer valid through today 12/26, until 8:59 PST. There are no auto renewals with this deal. Be sure to confirm the price is correct, before finalizing your order. Daily deal prices can change at any time, this price was valid when posted. « Target After Christmas Clearance: Watch for these Items! !